(if it is not there then search for it in the "All Programs" menu). Click In the Accounts… window, click the Add… button to begin the account creation process. (should already be marked) and click Next in the lower right of the window. 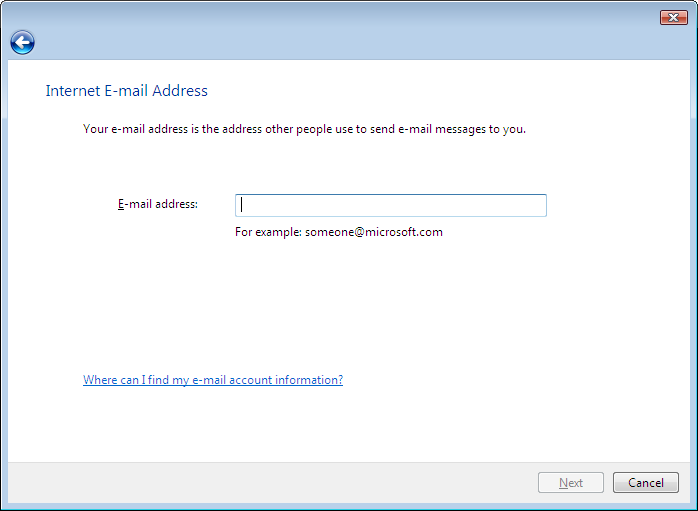 You can choose to have Windows Mail remember password or not. If you are the only user on this computer you might want to check the remember option. click "Next" button and you will see the "Congratulations" page. Click the Finish button to begin receiving new messages. If you are returned to the "Internet Accounts" screen click "Close"